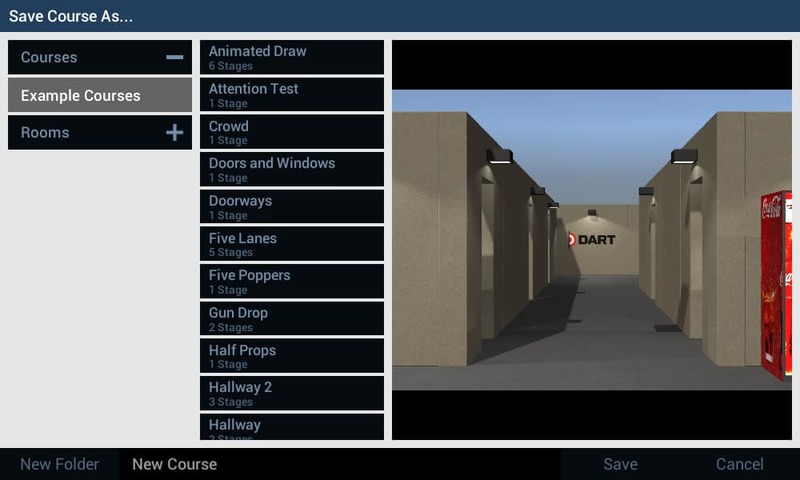 The purpose of DART Studio is to create and edit courses of fire used in DART Range. 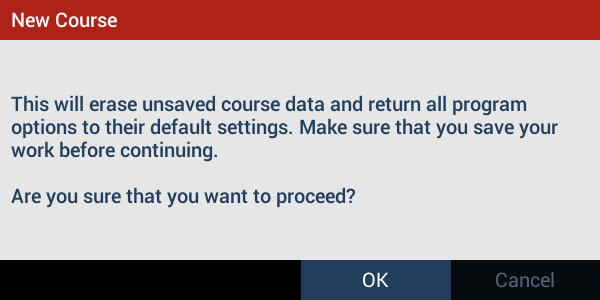 The Courses menu provides options for loading, saving, and testing courses – as well as setting score requirements for a course. The load dialog window found in DART Studio is a little different than those found in a typical Windows program. The left column shows available folder names. Clicking on a folder will show a list of available files in the right column. The save dialog window found in DART Studio is a little different than those found in a typical Windows program. The left column shows available folder names. Clicking on a folder will show a list of available files in the right column. 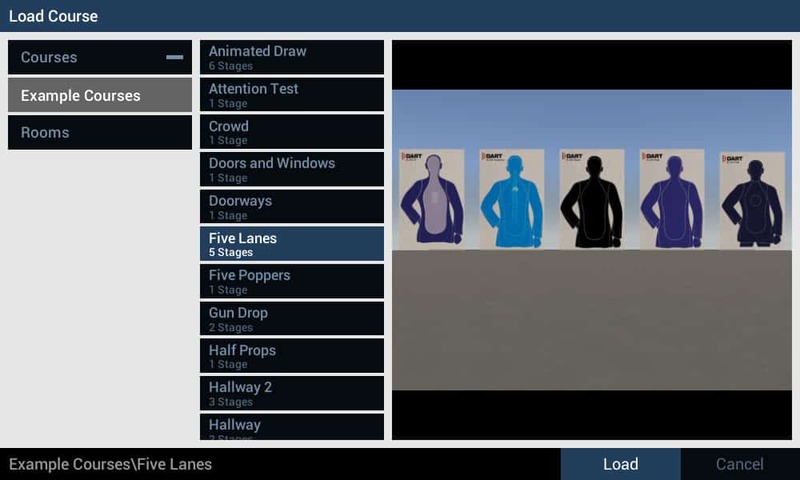 The Simulate command provides an easy way for you to preview course and stage settings including instructions, countdown, target movement, zone hit requirements, etc. This provides a convenient way to test a stage or course before running the course in DART Range. The Run Simulation command has two options: Course and Stage. Selecting the Course button will preview all stages of your course taking into account ammo and time limits to correctly advance through all stages. Selecting the Stage button will preview only the currently selected stage taking into account ammo and time limits and other stage settings.